Welcome to White Rock Orthodontics! I am honored to be entrusted with the care of children, teens, and adults of all ages. I believe that orthodontics is a wonderful combination of art and science that can be tailored to each individual’s wishes. Creating a beautiful smile is a team effort between the patient, my staff, and myself, and cooperation is the key to creating a healthy, beautiful smile! My goal is that each patient feels that their individual concerns are addressed and questions are answered completely throughout treatment. It always amazes me to see the changes that occur, not only in a patient’s smile, but also in his or her self-confidence and attitude about smiling! For college, I attended Princeton University (Princeton, NJ) and graduated with a degree in Geology and a minor in Spanish. I earned my Doctorate of Dental Medicine (DMD) from Harvard School of Dental Medicine (Boston, MA). I completed a General Practice Residency at the Naval Medical Center San Diego (CA), which gave me invaluable experience in understanding complex dental treatments, including caring for hospitalized children and adults. I served an additional three years as a Navy dentist, which included a year-long deployment to a tiny island in the middle of the Indian Ocean called Diego Garcia. I earned my Master of Science (MS) degree and Certificate in Orthodontics from Baylor College of Dentistry (Dallas, TX). I believe that in order to provide the best treatment for our patients, continuing education for the entire office is paramount. At Baylor, I was fortunate to have been trained in the newest techniques in orthodontics by some of the leaders in the profession. Now, I am committed to continuing education to stay up-to-date in techniques that help deliver the best care for my patients. Immediately after college, I joined the AmeriCorps National Civilian Community Corps (NCCC) where I performed community service for a year in various cities in California and Idaho. During my service in the AmeriCorps NCCC and the US Navy, I learned a deep sense of service and responsibility to give back to the community in which I live and to this great country of ours. I live in Lake Highlands and I am fortunate to provide orthodontic care for the community that I know and love. 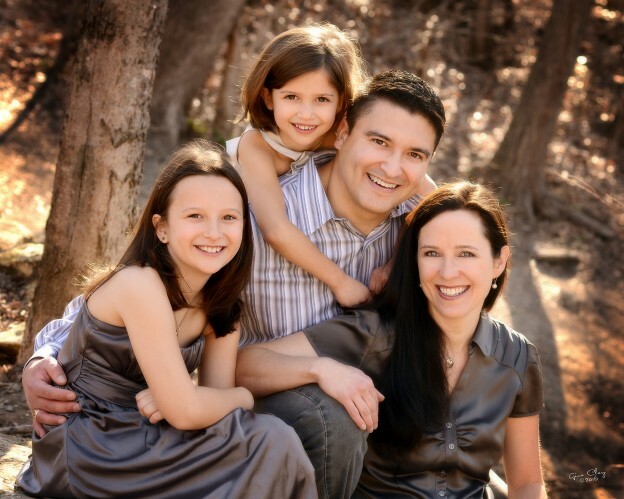 My wife, Lauren, is a pediatrician, and we have two wonderful daughters, Ava and Layla. We’ve also adopted a dog named Jack from the SPCA and have a hedgehog, appropriately named Hedgie, and a bunch of backyard chickens. I believe that the world is an incredible playground for discovery. My family and I can often be found traveling, hiking, camping, and fishing. I also try to stay motivated to work out, run, and stay in shape! My hobbies include radio controlled cars, planes, and quad copters. I look forward to getting to know you and helping you design your beautiful smile!